Discussion in 'General' started by State'O ReBeL, Jul 22, 2006.
im buying a sv s2 clubbie in a week or 2, im just wondering wat your thoughts about modding the interior, if theres even any point in doing it? my statesman wen i had it was going to be retrimmed in tan leather and i still like the idea of a tan leather car, but not in a clubbie. more than likely im going to leave it as is, but im just seeing if u guys know people that have done it to thier hsv's? im gonna guess its a vs, and that he put sv by accident. I'd change the seats for sure, the VR/VS interiors if not leather were ugly. the only thing needed to change on the zorst is better cats. The HSV systems are fine apart from this VS Senator gained 2/10's just changinging cats, made no gain anywhere with the whole exhaust. it may not be the most flattering style (beats my seats though) but you just gotta remember its a hsv, theres no real need to change much on them. and btw nice car too. pwaaaah i'd kill to have a vs clubsport, you lucky human being. well i wouldn't bother spending money on the interior, it's alright as it is. you can if you want to, but personally, i'd rather save the money as the interior is fine. Performance only, my GTS is clean all over (cept the intercooler) i still have standard GTS wheels. I even pulled the stickers off the window when i bought it. And the only interior change i want to make is the pillar cover. I will get the one with spots for the gauges. 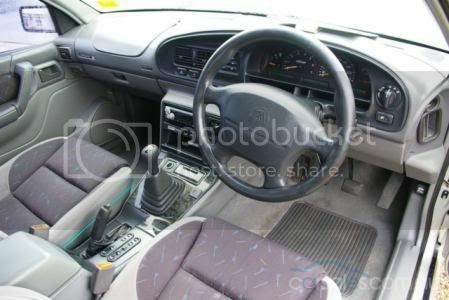 y dont u get ur interior trimmed in leather with coulsen style seats all round? that would look horn.